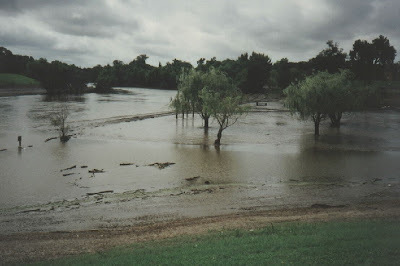 There was some flooding that year also. Not like this year. It was late summer when I took these pictures and more. Sign coming into town from the west. Red River spilling into a city park. Pictures taken on my 1993 bicycle tour. 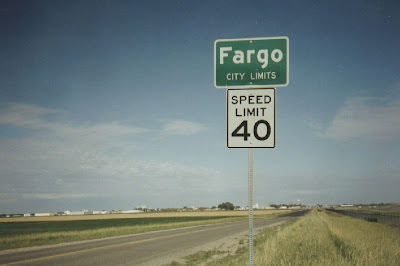 In 1998, I passed through Grand Forks, north of Fargo on another trip. That was a bit over a year from the devastating floods of 1997.